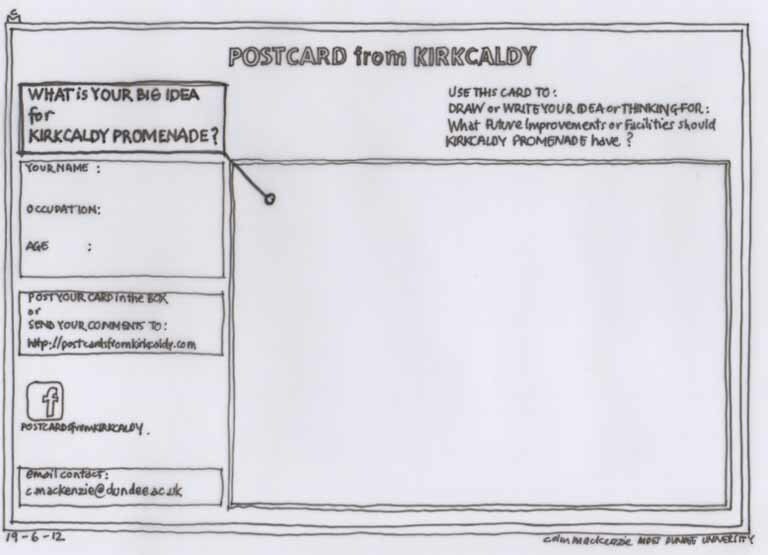 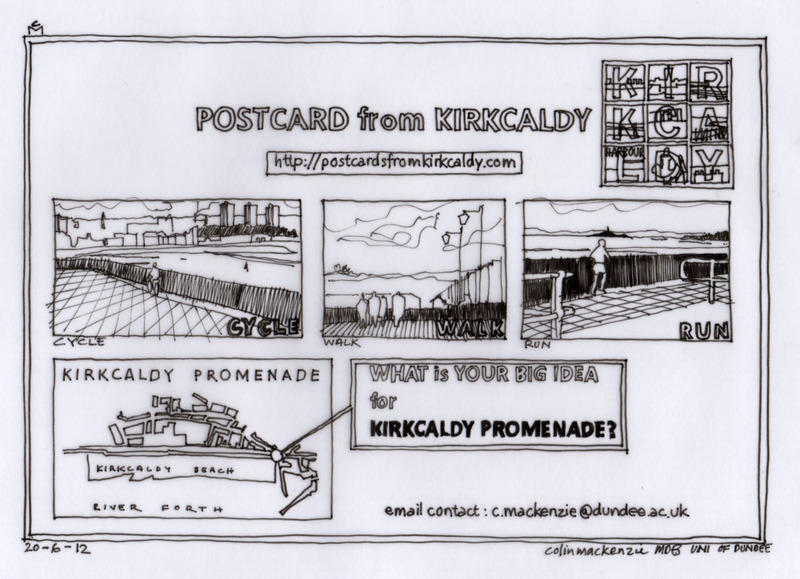 it may be that a hand drawn postcard design is more uesable than an IN DESIGN graphic one ? 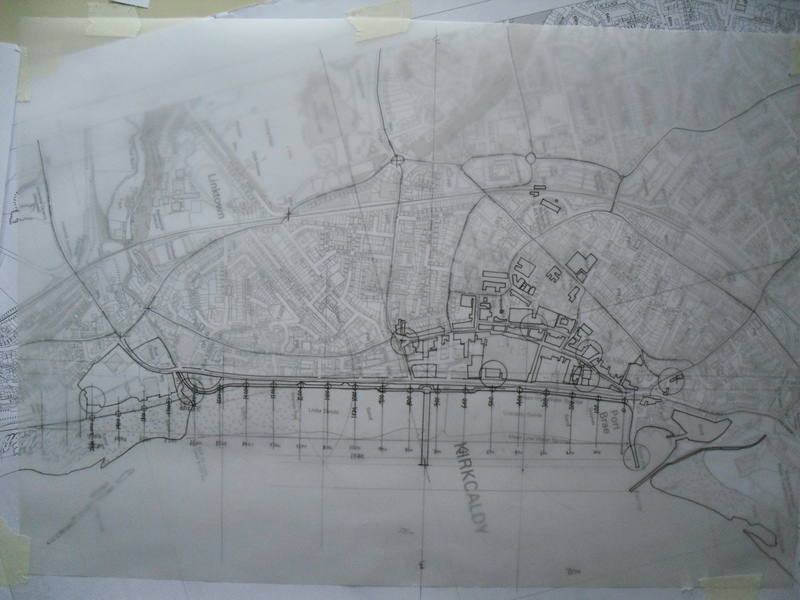 THIS IS PART OF AN OA SIZE TRACED MAP OF KIRKCALDY USING A LINE DRAWING WITH PEN. 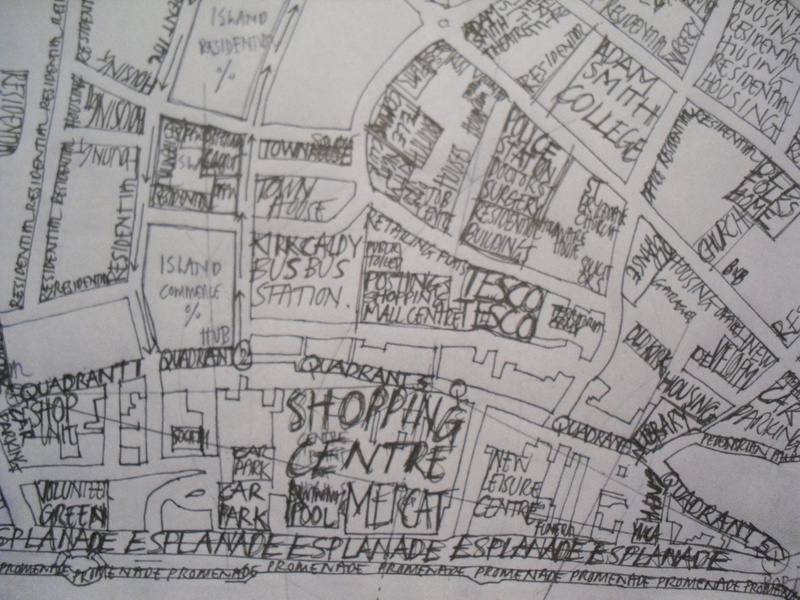 IT SHOWS IN A MORE SIMPLE FORM HOW THE TOWN CENTRE HAS EVOLVED. 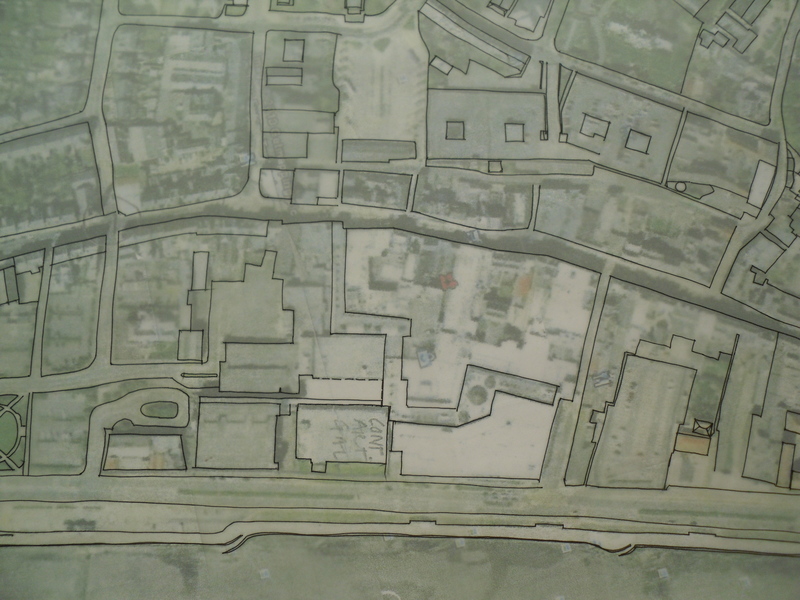 THIS PART OF THE MAP SHOWS THE CENTRAL AREA OF THE HIGH STREET AREAS. 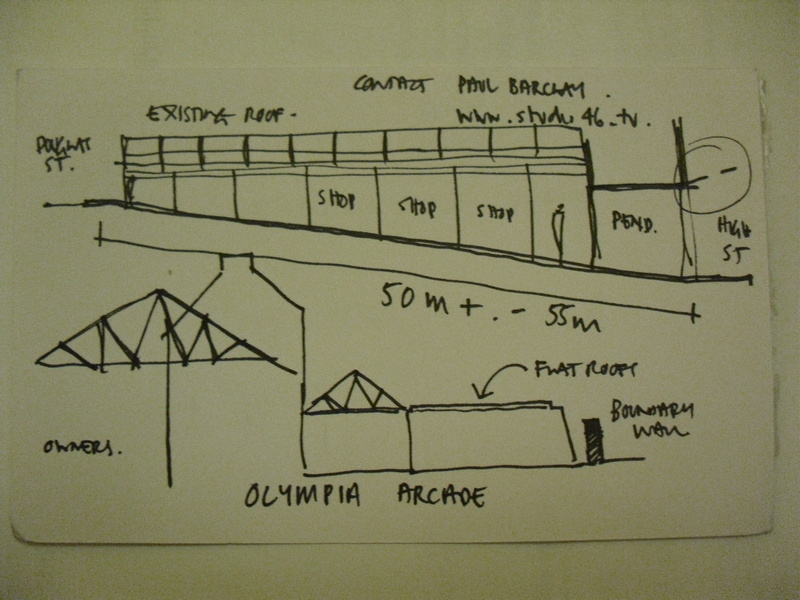 THE DRAWING ALSO SHOWS THE ESPLANADE or PROMENADE WHICH IS AN UNDER-USED ASSET and POTENTIAL UNIQUE DEVELOPMENT OPPORTUNITY TO MAKE IT MORE ACCESSIBLE.